The SDL Community site is up, but only 25 of my posts were displaying. 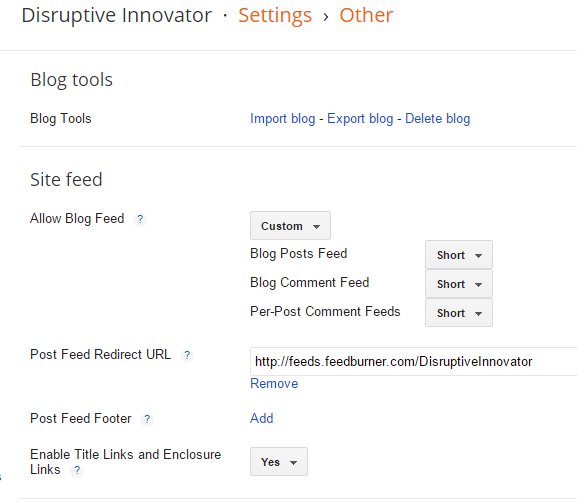 Too add the missing 200 or so posts to the site I added a max limit parameters to my feed and then changed it to RSS. 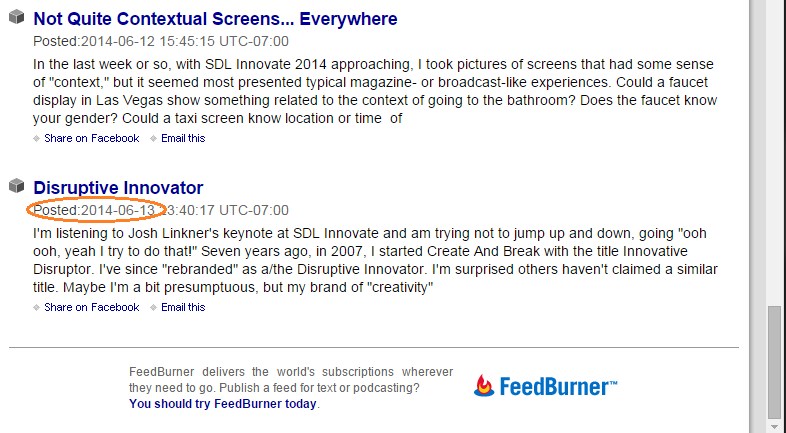 I Blogger through Feedburner, but you can use a different service. I've been using Feedburner, an (aging?) Google service that lets you automatically generate other formats including HTML, Atom, and RSS. Here you can see my Feedburner only showing posts back to 2014. I've been blogging about Tridion since 2011. This was impossible to test until I disconnected the Feedburner setting (below) in Blogger. I could confirm the blogger feed querystring parameters worked when I removed the Post Feed Redirect URL. I then updated Feedburner's output RSS 1.0. 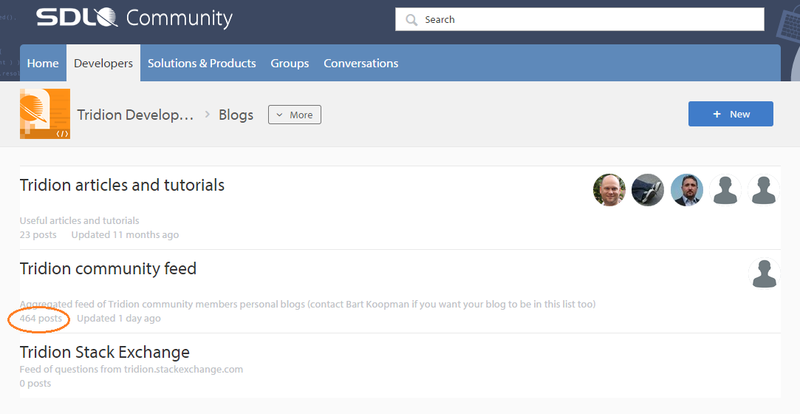 Alternatively, turn off Feedburner and give a community manager (Bart Koopman) your manual feed URL instead. As a side effect of troubleshooting this scenario, Bart was able to add other feeds to the community site (hence the burst of recent posts from StackExchange). Note: I've read that Feedburner might be shutting down. See alternatives in this post, the main thing is that the SDL Community aggregator uses RSS and if you'd like to be added or even removed, leave a quick post. If you want to bypass the feeds and be featured directly on SDL Community section for Tridion, please sign up. I've promoted and "sold" TridionWorld before and looking back at my contribution to the Tridion blogosphere, I still have some vested interest to promote the site and your content. I think that includes my posts now give or take a few. Assuming they're all in there, my 253 posts out of 694 means I've contributed 36% of the feed as of now (I'm not quite sure because 694 now - 464 before + 25 already-included = 255). With this additional post, maybe you can add your older posts as well. If the stock's price experiences movements that are greater - more volatile - than the stock market as in Foreign Exchange, then the beta value will be greater than 1.